That was quite the turnout at Talladega Superspeedway, wasn’t it? And for this reporter at least that was manna to the soul. Okay, it’s fair to say a good proportion of folks were in attendance for Dale Earnhardt Jr.’s penultimate race on the treacherous high banks. But even with that boost it was still fantastic to see a packed house and for the first race since the Daytona 500 in February, FOX didn’t need to get uber-creative with wide shots of what have been some fairly sparse crowds so far in 2017. I’d expect to see a similar number in attendance for the second visit in the playoffs – and it still feels weird to use that nomenclature. 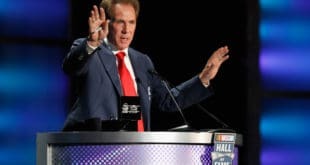 Now that the cat is out of the bag with regard to Junior’s future, it will be interesting to see if there are requisite bumps in attendance numbers as he comes to the end of his 19-year, 605-race career. 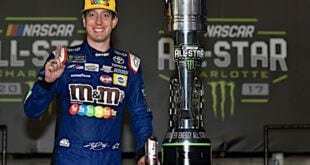 “Overall, [it was] a weekend we really needed, it gave us some momentum back,” noted Steve O’Donnell, NASCAR’s executive vice president and chief racing development officer in a SiriusXM NASCAR radio interview. Of course as we all know well, momentum is a weekend-by-weekend kind of a deal but let’s hope we see another great crowd this Saturday evening at Kansas Speedway for the wonderfully named Go Bowling 400. Ricky Stenhouse Jr. was not the only driver to break a long and futile streak this past weekend. And while it was not accompanied with copious amounts of champagne, a full slate of interviews and the requisite hat dance, a quick shout out to David Ragan who finished tenth. The top-10 effort was the first for Ragan in 85 races, a streak that goes all the way back to a fifth-place run in the first visit to Martinsville Speedway in early 2015. All told, it was Ragan’s 37th top-10 result in 372 races and 12 years of top echelon Cup racing. 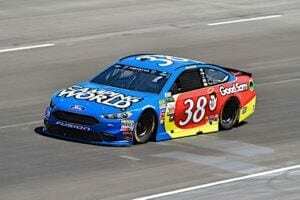 He might not get many more such finishes this season, so let’s hope Ragan and the whole Front Row Motorsports organization has a minute to enjoy it this week. Next up, it’s the first of two visits in 2017 to Kansas Speedway on the weekend of Mother’s Day. 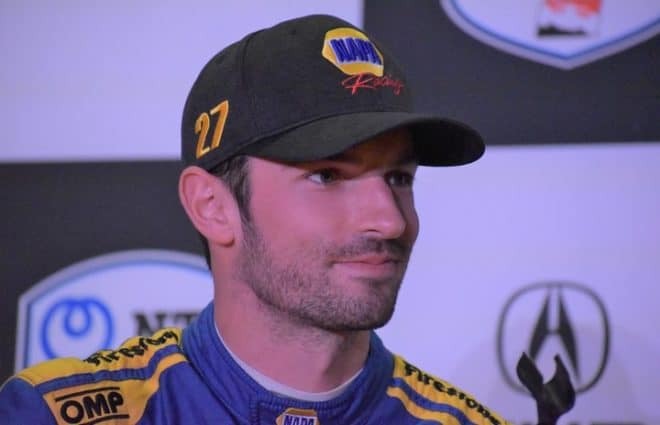 This will be race number 23 at the mile-and-a-half tri-oval race track, a streak that runs back to the inaugural event in late September of 2001, a race you might not be surprised to learn was won by four-time champion and now Fox Sports analyst Jeff Gordon. 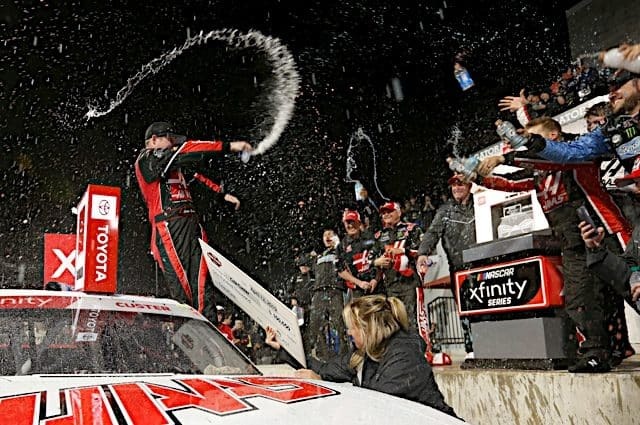 Last year’s races were won by Kyle Busch and Kevin Harvick, respectively, and chalk it up in the “no surprise at all” column the overall results at the track are dominated by Jimmie Johnson (3 wins, 9 top fives, 17 top 10s, most lead lap finishes at 18). To help with promotion of the race, the Speedway has lined up a cool social media campaign the #Virtual400 which kicks off (takes the virtual green flag?) on Wednesday at 10 a.m. EST. Fans of the 16 drivers participating can use tweets with unique hashtags to power their favorite wheelman forward. No prizes for guessing who’ll win this particular contest (cough, Dale Earnhardt, Jr., cough) but nice work to the marketing team at the track for coming up with a fun promotion. We need as much of this as possible, truth be told. 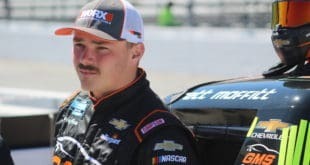 Back in 2009, journeyman driver Carl Long’s attempt to make the All-Star Race via the qualifying Open race ended in a nightmare that would run for the best part of eight years. Long’s engine, which he had purchased from a supplier, had over-sized cylinders (likely due to extreme usage) and the draconian $200,000 fine was way beyond his means. And so things remained for a number of years until the recent announcement. 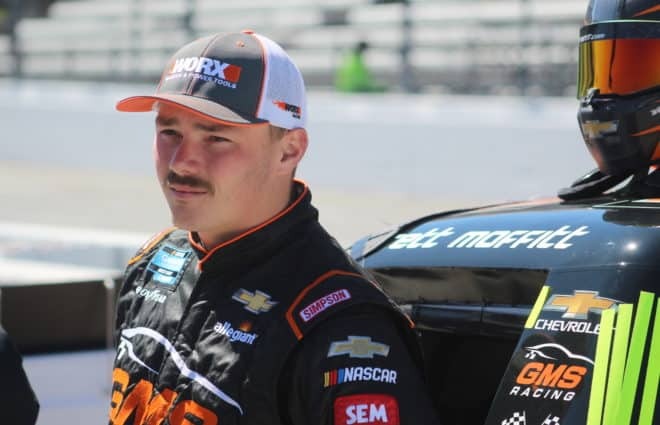 Long will be driving an old HScott Motorsports car and is still looking for some additional sponsorship dollars and according to an update on his Facebook page, $25,000 will get it done for a full sponsorship. Here’s hoping one of the sport’s minnows can find the requisite cash and get this done. It would be good to see him back out there after what has been a tough road. 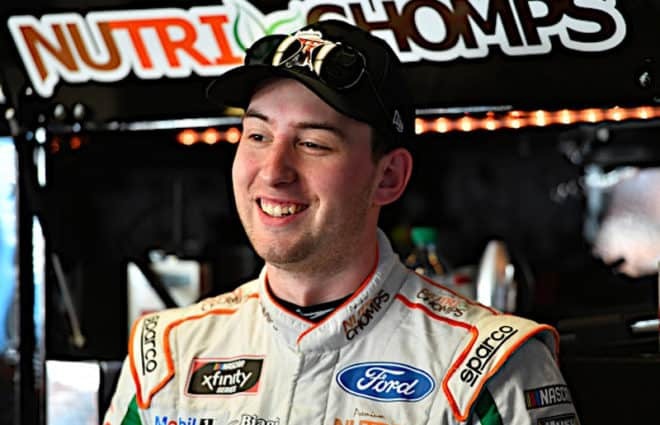 Funnily enough, I wrote about Stenhouse’s uptick in form this season just last week, so it would be remiss of me not to give him a shout-out this week following his huge victory at Talladega. 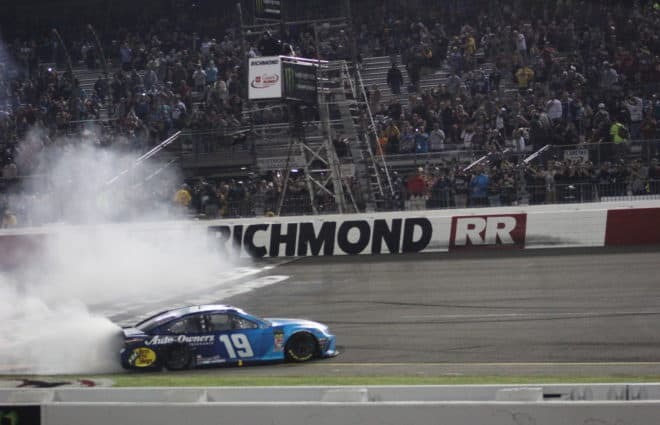 In picking up his first ever Cup win, Stenhouse snapped a winless streak of 157 Cup races and also broke a duck for Roush Fenway Racing that ran all the way back to Sonoma in 2014, a race won by the (maybe) retired Carl Edwards. And special it was as is any win at the Cup level – they really are that difficult to win — unless your name is Johnson, that is. As Stenhouse crossed the line he even had the foresight to get in not just a plug for his sponsor Fifth Third but also their new ad campaign noting: “That’s banking a Fifth Third better, boys.” Nicely done, Ricky, nicely done. Don’t expect such a long wait for the second win for the Olive Branch, MS native. Tags Carl Long David Ragan Front Row Motorsports Ricky Stenhouse Jr.
How about that Richmond attendance! Must admit I got a chuckle when Ricky gave Danica an old fashioned ‘trophy girl’ kiss in Victory Lane!